Are you interested in taking a TEFL course and don’t know where to go or what you experience as a TEFL student? Well, you came to the right BLOG as I will give you the ins-and-outs of my personal experience taking the TEFL course in Malaga at TEFL in Spain. Here is where my journey began after the fascinating experience of arriving to Malaga’s warm Spanish welcome and fascinating views. If you love beaches and Spanish culture then Malaga is the place for you. Oh, and don’t forget the sun; the weather is always hot and sunny here with an average of 300 sunny days a year! The first week was an amazing and exhausting experience on the Trinity CertTESOL course. Although, the exhaustion is worth every minute because you learn so much and experience first-hand what it is like to teach in a real Spanish setting. More so, you really experience how it feels to be in a non-native language setting through the Unknown Language classes that take place in the first week. We are currently learning Greek! This helps us to understand the importance of immersion learning and how a beginner student may feel in their first English language class. If you are thinking about taking a TEFL course online – DON’T DO IT – Taking the accredited face to face Trinity CertTESOL course gives you the valuable hands on classroom experience that you need with real students. 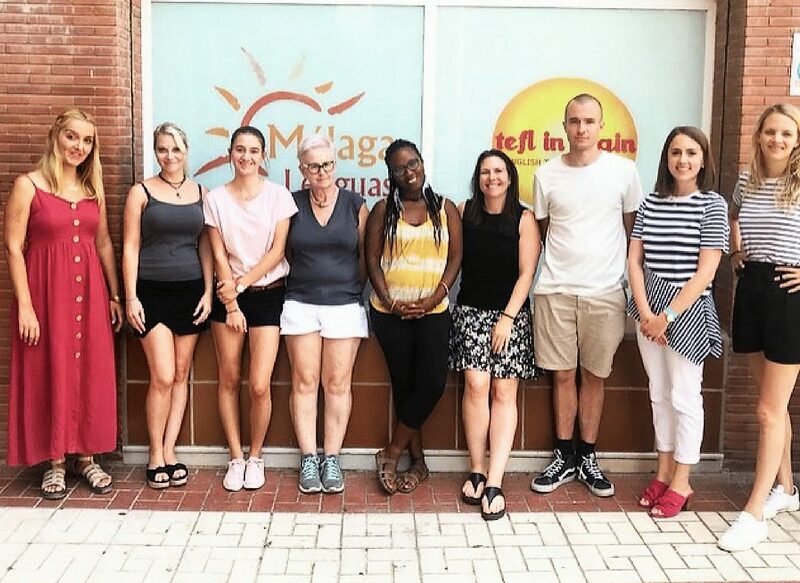 The course in Malaga provides you with greater experience within the TEFL classroom and is recognised by employers worldwide. At TEFL in Spain you start teaching immediately. You actually deliver your first class in week 1. This is an incredible way to learn not only knowledge, but also learn by experience and advance your skills on how to teach a class of elementary learners. Although the week was crammed full of intensive and fast paced work with little free time, I feel I have much greater knowledge now and this will help me become a more confident and successful English teacher in the future. I am very happy with my growth in this first week of training. Follow my blog every week! I will share my experience of week 2 at TEFL in Spain soon! Want to know what happens in week 2? Check out the next blog here!